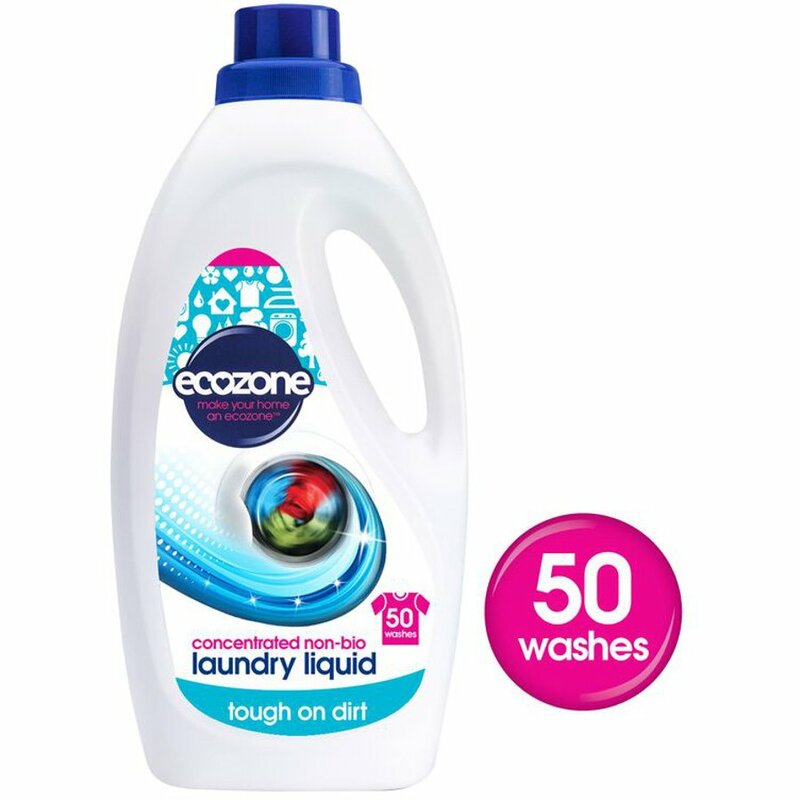 Ecozone Non Bio Laundry Liquid is gentle to the skin and is super concentrated to last up to 50 washes. It will give you perfect results every time and the innovative formula will clean through tough stains like wine, grass, grease, tomato, etc. The specially developed formula is made from plant based ingredients, and will clean even on cold washes at 30 degrees and it can be used on whites and colorfast laundry. It contains no additives and harsh chemicals, and is free from chlorine, and optical brighteners. Vegan and cruelty free. 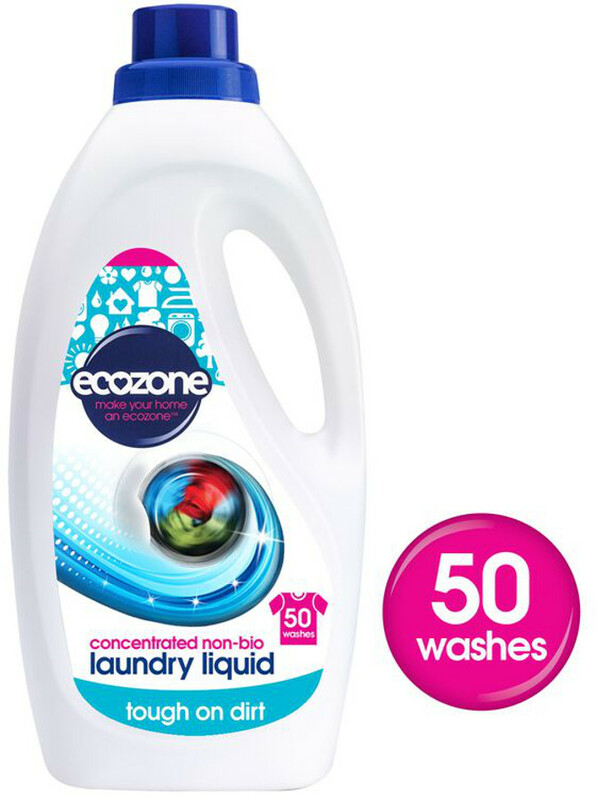 There are currently no questions to display about Ecozone Non-Bio Concentrated Laundry Liquid - 2L - 50 washes.